The Great Barrow Challenge is a small race with big ambitions. It is run four times a year: two single marathons, a double over two days and four in four days in the Autumn. I ran one of their other routes this time last year, so had a reasonable idea what to expect. This was one tough run, slogging through mud right from the early miles, tiring my legs quickly. Hard to say whether I was fully recovered from last weekend's PB. I struggled to settle into a relaxed pace on this one, probably a combination of sliding about on the mud, leg fatigue and general tiredness (a 5:30 alarm for an 8:00am start). The coffee shortly before the start probably didn't help either. The BBC website weather forecasts continue to be next to useless. The forecast heavy rain never materialised (well not during the run, saving itself for the drive home). I'm too tired to add much about the course, but it did cover plenty of Ickworth Park and Nowton Park to the South of Bury St Edmunds. I saw a deer, lots of tiny lambs and a few birds of prey. I think I finished about seventh, although it is hard to know how many runners there were. This one has four distances and is open to walkers and runners. It is definitely time for a rest from marathon running for a few weeks, after three in three weekends, and it will be good to focus on continuing to improve my speed for a few weeks. 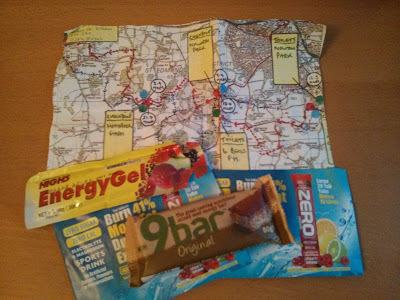 Full marks for bacon rolls at the start, hot pasta and hot showers at the finish, a goodybag with a 9bar, a gel and some electrolyte. Although it wasn't cheap at £28. 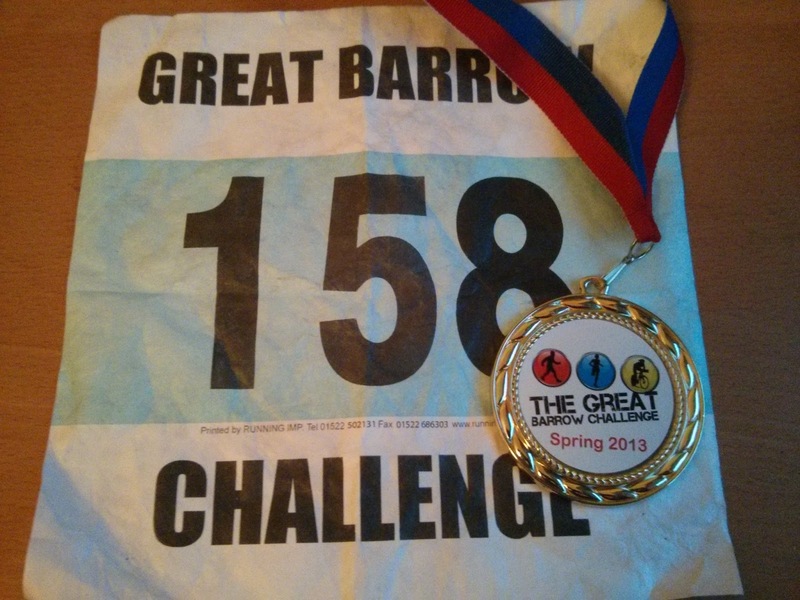 I'll probably be back in the Summer for another Great Barrow Challenge to try out one of their other two routes. Here is the route. It is a well designed course, with two crossovers, allowing doubling-up of checkpoints. Sadly my GPS watch recorded only 41km, so I had to run an extra 1.2km after crossing the finish line to be sure I'd really run a marathon. That's a big disappointment if the course really was that short (and the Garmin isn't usually that inaccurate).